The Peña Córdova family are coffee farmers who live in San Ignacio, Cajamarca, about a day’s journey south of the FACES hospital. Three of their six children who ranged in age from 2 years to 14 years had clefts which had not been repaired. 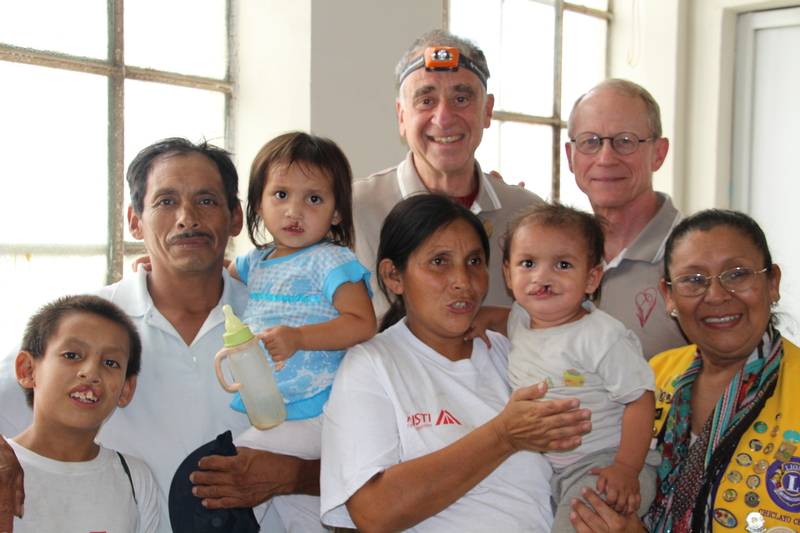 Following encouragement from James Sanchez, a member of the Lions Club in San Ignacio, and Mercedes Uriarte Latorre, the director of health and nutritional support for the Cafe Femenino Foundation, the family sought out the help of FACES to correct their children’s clefts. With support of the Lions, and drawing on their own resources, the family traveled 20 hours by bus each way to attend a FACES patient evaluation in early December 2013. They made the same trip again in January 2014 for their surgeries and all three cases of clefts were repaired. In early March, the Lions Club conducted a medical campaign in two hamlets near San Ignacio, and the family’s son Jerson volunteered to accompany Lion Teresa Bancallán in order to tell his story to encourage others to overcome their fears of going far away to receive surgery. (Talk about a real poster child!) While there, Teresa saw the whole Peña Córdova family and was able to report that all three children who received cleft surgery are doing great! Additionally, the general manager of a network of television stations in northern Peru, Alberto Priano of TV Norte, is a Lion and a strong supporter of FACES. Alberto sent a TV reporter to interview the Peña Córdova family just after their surgeries. The report (in Spanish) can be seen HERE. A good example of how FACES has been able to be a catalyst for bringing so many people together while reaching out to those in need, the Peña Córdova’s family story is also indicative of the trust the people in the community have in FACES. May their story help inspire others to come to FACES and the Lions Club for care. Jerson Yodan, age 14; Geibi, age 4; and Deiler Carlos, age 2, along with their parents and Dr. Tom Albert and Kelly Jensen before surgery. 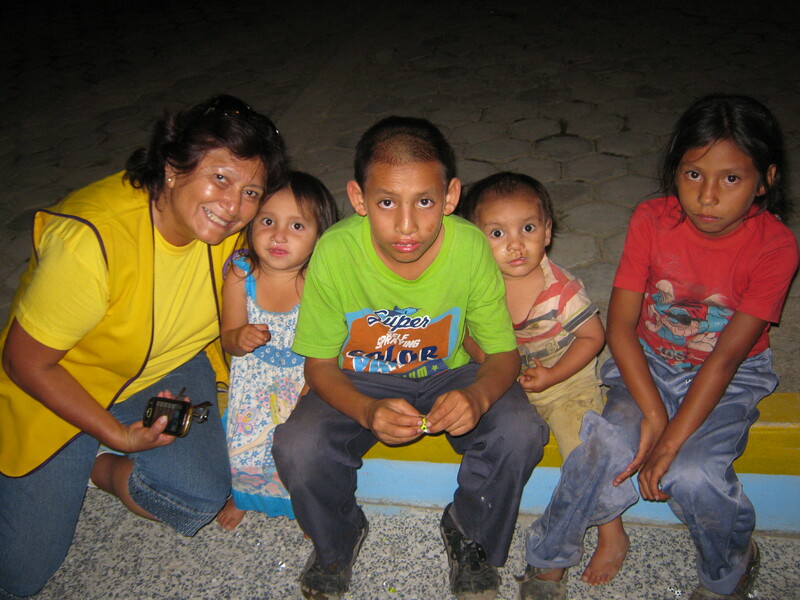 The Peña Córdova children in March 2014, two months post-surgery. Next Post Donate Now – FACES Benefit Auction!